One of the things we love most about Tinkergarten is the wide range of people these classes bring together. Folks with all different backgrounds find their way to our classes, either as explorers, guides or leaders. 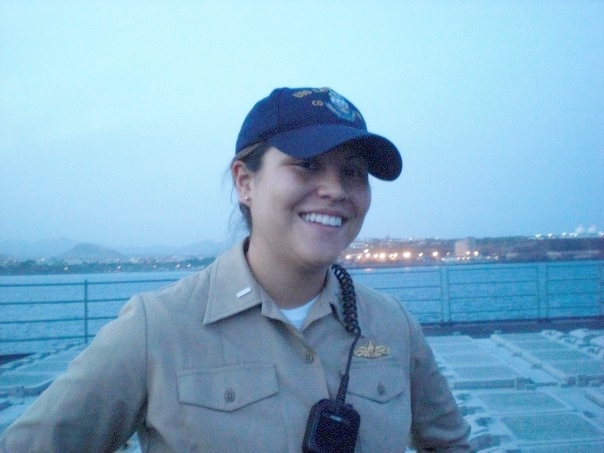 Today, we’re going to shine a spotlight on one of our treasured Tinkergarten Leaders, Erika McLemore, who lived her previous life in the Navy. She has spent multiple seasons with us in Texas, and sunny California, and we are honored to have her. Meet Erika! What did your life look like before kids and Tinkergarten? I have always known that I wanted to eventually work with children in some capacity. I lost my father when I was 14 years old, and I had a JROTC instructor in high school that was a tremendous influence in my life named SgtMaj Ed Frank. My 11th-grade creative writing teacher encouraged us to write about someone who made an impact on our lives, so I wrote about him. I concluded that I would eventually like to serve in the Navy, retire, and then come back home to teach and inspire kids the same way that he had done for me. Life played out differently, but my strong belief that children need to know that there are adults that care for them outside of their own family has been a driving force for me. My husband and I graduated from the Naval Academy and both served as Naval Officers. We have lived in Maryland, Florida, Virginia, Japan, Colorado, Texas, and now California. Our careers included different duty stations and jobs on land, air, and sea! Between the Navy and having children, I briefly worked in a Youth Center on one of our overseas bases. I also led a Girl Scout Troop and did a lot of volunteer work through the base for the local community. I truly loved both the Navy and when I was working with children. 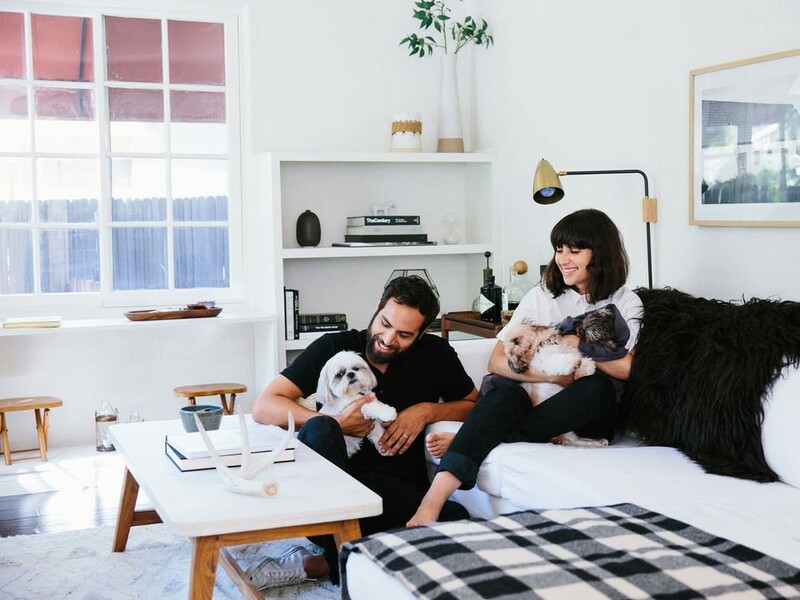 Once our oldest son was born, I decided to become a full-time, stay-at-home mom and I haven’t looked back! We have three children who were all born within 3.5 years of each other, so our lives and home are full and exciting. It is very different than my time spent leading sailors out at sea, but I wouldn’t change it for the world. What piece of advice were you given that has proven most helpful in your work and as a parent? A few years ago, one of my friend groups and I were deep into the toddler and early preschool years. They were full of fun and joy, but there were also days that were exhausting and frustrating. We leaned on each other for support. On one particular day, one friend was sharing some of her struggles with us about her two year old. She was going over what she was doing to support him and looking for new ideas to try. Another friend said, “Well, maybe that’s just part of his personality. Have you thought about that?” We laughed at her blunt honesty, but at the same time it has really stuck with me! Everyone comes into this world with their own personalities, and our job as parents is to support them, guide them and love them for who they are. What advice would you go back and tell your new mother self? Get outside more! My oldest child was a very difficult baby. Some friends would tell me it was just adjusting to being a parent, but having had three children I can now say with certainty that he did come out with an extra dose of fun. It took me a few months to realize that the key to him being a happy baby and me being a happy mother was for us to get outside. I started taking him for long walks around and around the military base. You could always find us outside. It became a running joke with all of my friends that it was all that we did! When we moved to Colorado, I joined a parent/child stroller fitness class and from then on have spent many of our mornings outside playing or at local parks. Being a Tinkergarten Leader has absolutely changed my life, as well as the lives of my children! It has given us an entirely new way to look at and engage with our local parks. My children will often start at a playground, and slowly gravitate to the surrounding trees to play a bit in nature. Our concept of being in nature has changed, too. If we have a tree or two and some space to run, we can easily turn that into a Tinkergarten classroom. I also work for Tinkergarten as a member of the New Leader Scouting Team. We guide prospective leaders through the application process and have recently more than tripled the number of applications we see each day. I work with an incredibly positive, hard-working team that is flexible and adapts quickly as we are growing and changing every day. We are virtual friends outside of work, and knowing them has brought a lot of happiness and laughter into my life. 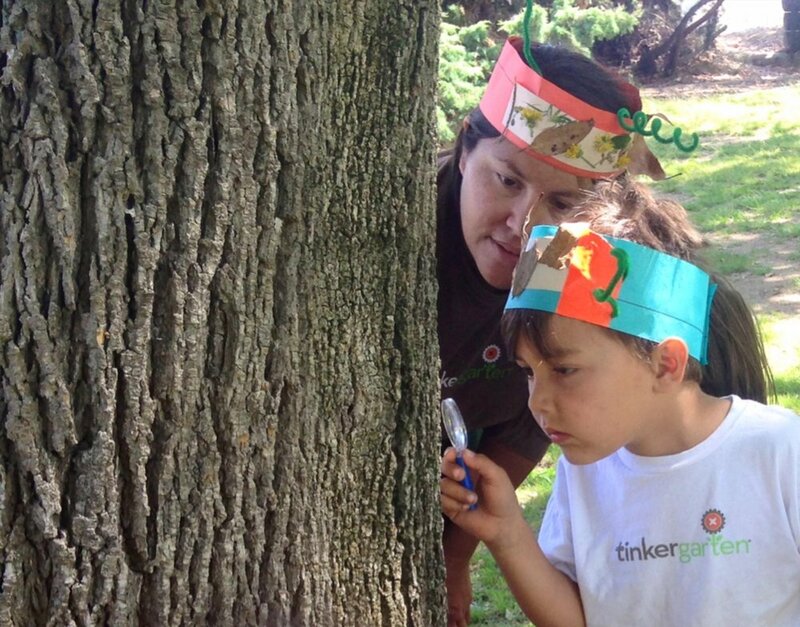 Does a particular child or family stand out to you from Tinkergarten and why? So many! I have truly enjoyed every family that has come through my outdoor classrooms! I had one child who was with me for a few seasons before starting preschool. I have known his mother since we were teenagers, and she brought him to my class. For the first seven weeks of an eight-week season of Tinkergarten, he was very quiet. He participated in Circle Time and the songs by standing back and observing everything, he never made a sound. And he took a long time to warm up and play alongside the group each week. On the 8th week, something changed and he came running over and sang every song at Circle Time, did every motion, and enthusiastically joined in to play with the group! A few of the families returned for the next season, and he loved connecting with them each week and they had a lot of wild and exciting fun together. It was magical to see that his mom’s patience in supporting him resulted in a comfortable, confident child! He really was engaged each week, he just needed plenty of time and space to do it in his own way. What’s your favorite activity and why? My favorite activity is Rebranding Play Dough! I used to make and sell play dough kits and party favors, so that kind of open-ended sensory play is something that we LOVE in this house. I love the magic and wonder that you can inspire by presenting the explorers with a scenario, like a hidden gift from the Forest Fairies. I like to lower my voice so that they lean in to hear about the surprise that is waiting for us somewhere in the woods. The kids always love activities where they have a problem to solve or something to find. I love to ask if they have to keep their play dough clean at home, and then play up my excitement that with "Forest Putty" there are no rules as I dramatically pat it into a pancake on the ground and flip it over to reveal the nature that has stuck to the Forest Putty. Spending so much time in outdoor, child-led classrooms has taught me to stop and laugh more when unexpected things happen -- and that I am happiest when I’m able to do so! Some of the best magic takes place in Tinkergarten, and in my personal life, when I’m able to step back and just smile. I am incredibly proud that my kids are creative and persistent problem solvers. They will always push through and keep trying new ideas, different techniques, or adjusting their idea when things don’t work out the first time. I can watch them, see their wheels turning and I know at that moment that those are qualities that will serve them well in life.